Randy Pryor cleverly combines comedy, magic, and highly-skilled dexterity to make his one-of-a-kind show absolutely hilarious! The combination of Randy's magical mischief and "useless motor skills," reflect years of intense study, rehearsal, and performance. 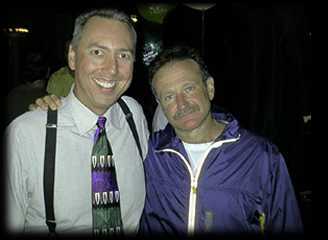 The influences of W. C. Fields, Red Skelton, Steve Martin, and Robin Williams come alive in every show. Clean, Contemporary, and suitable for all audiences, Randy's comedy magic is perfect for your corporate event, banquet, or after-dinner entertainment! Randy Pryor has been a professional comedy magician for over 40 years and a performing member of the prestigious Magic Castle, in Hollywood, for over 30 years. He's also been an active member of the International Jugglers Association since 1980, and the Auto Club of Southern California since 1982. Randy lives in Mission Viejo, CA (South Orange County). He's never had a "real job." When he was 16, Randy managed a Magic Shop in Los Alamitos, CA, for 7 years. As head instructor, he founded the "Southern California School of Magic and Variety Arts, and the "Wait, Wait, Wait School of Juggling." 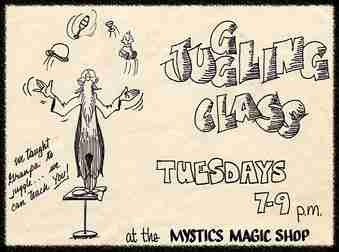 In 1980, he was also the president of the nationally acclaimed "Long Beach Mystics" magic club. He was making contacts and rubbing elbows with dozens of top-notch professional variety acts. So, he began washing his elbows regularly. After Burger King had it their way, and bought the Magic Shop's property for their new parking lot, it was time to move on. 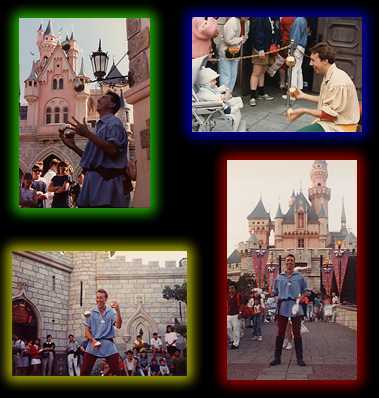 To Randy's delight, and extensive education, for the next 7 years, he was a performing member of Disneyland's "Royal Court Jesters," in Fantasyland. He had the opportunity to incorporate magic, juggling, comedy show writing, and character work at the Happiest Place On Earth! What an experience! One such show was, Curse of the Pirates Treasure (1987 & 1988), co-written and performed with Dana Daniels. Two pirates (Cap't. "Nobeard," & 1st Mate, "Lootless") find that by digging up the buried treasure, a curse had been placed upon them. The only way to remove the curse was to perform silly deeds that incorporated both Magic & Juggling. For example; the heads of three dead pirates were juggled, a Cannon ball was balanced on a kid's finger, and peg legs were thrown around a pretty stranger. Once the silly deeds were accomplished, the curse was removed, and a special treasure was found - which turned out to be two Golden Mickey Mouse hats. Randy and Dana wondering why two grown men are dressed as pirates. After Disneyland, his old friend and juggling student, David Deeble, and Randy became partners in a double act known as "Party of Two," or "The Dave & Randy Show" (depending on their mood). They performed together - up to 5 shows daily - in Long Beach, CA, on the boardwalk of Shoreline Village during the summer of '91. Since they weren't supposed to use real fire, David liked to draw a crowd by demonstrating his "cartoon fire" which, of course, wasn't real, and could never harm anyone. After the Magic Shop, Variety Schools, Disneyland and street performing, Randy had been in the Variety Show Business for 17 years, with countless contacts. But, he tried counting them anyway. For the past 15 years Randy has traveled extensively. Mainly on cruise ships all over the world with Norwegian Cruise Lines, Royal Caribbean International, and Princess Cruise Lines. 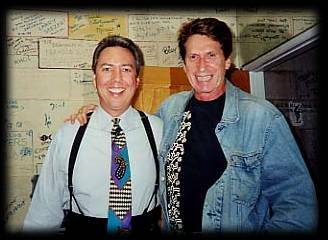 If you'd like to be Randy's guest at an upcoming performance at the Magic Castle, in Hollywood, or the Comedy and Magic Club in Hermosa Beach, just email or call him directly and he'll be glad to notify you when he's performing there, and he'll be happy to put you on his guest list! "It was a pleasure opening for you."